T-shirts are medium weight, males with a round neck and the girls have the fitted version with fitted seams and V neckline. 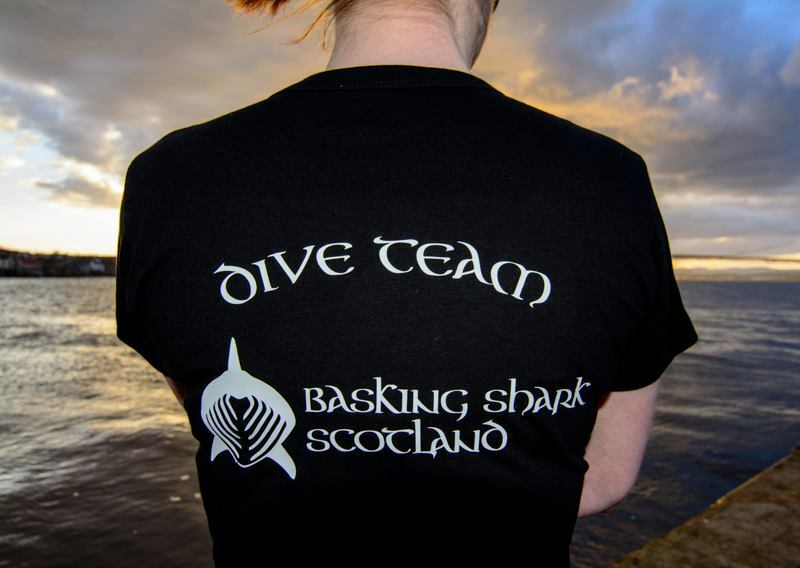 Logo on the back and shark on the front as per our hoody. Like our hoody they are in stock black with white lettering however we can order custom colours when we place an order (usually 3-4x per year. Add £5 if you want customised name etc (like Dive Team) in the picture, you can your name or your given nickname from the boat or whatever you like!